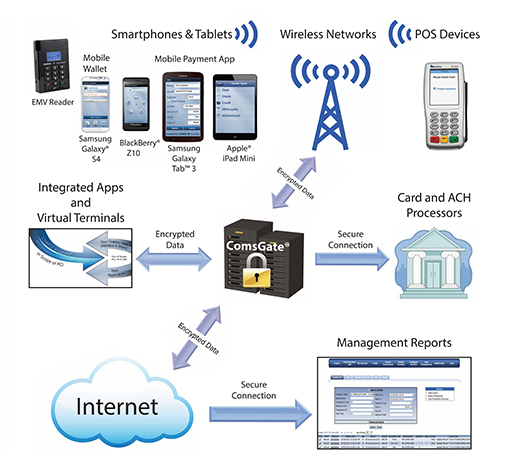 QuickSale mPOS the industry’s most complete Mobile Payment Solution for Apple® (iOS), and Android™ devices. Integrated with all major payment processors, QuickSale allows your merchants the freedom to process credit card and ACH payments anywhere their business takes them. Included with the solution is our PCI DSS Payment Gateway, ComsGate® , Transaction Manager and a free Virtual Terminal for keying in transactions. Increase sales by accepting card payments anytime and anywhere. Lower processing fees with “card present” transactions. Reduce transaction risks and data entry errors. Accept contactless cards and mobile wallets. EMV liability shift eliminates chargebacks. Improve cash flow by getting paid more quickly. Charge Anywhere will help you connect to our powerful, secure mobile payment ecosystem. Bring your hardware or let us help you chose the perfect peripherals for your business. Questions about how our mobile payment ecosystem helps your business? 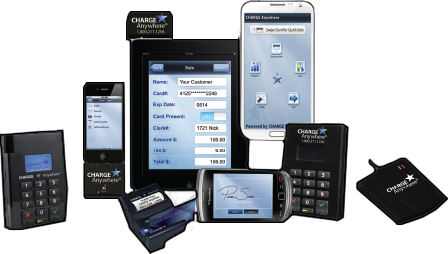 Contact a Charge Anywhere payment professional today for a guided tour. Tell us how we can meet your payment needs.